It’s been extremely beneficial to be able to explore our data in sophisticated ways without being sophisticated programmers. The Epidemiology Department at the Louisiana State University Health Sciences Center- School of Public Health collaborates with hospitals and other providers around the state to meet the requirements of a grant from the Centers for Disease Control and Prevention. 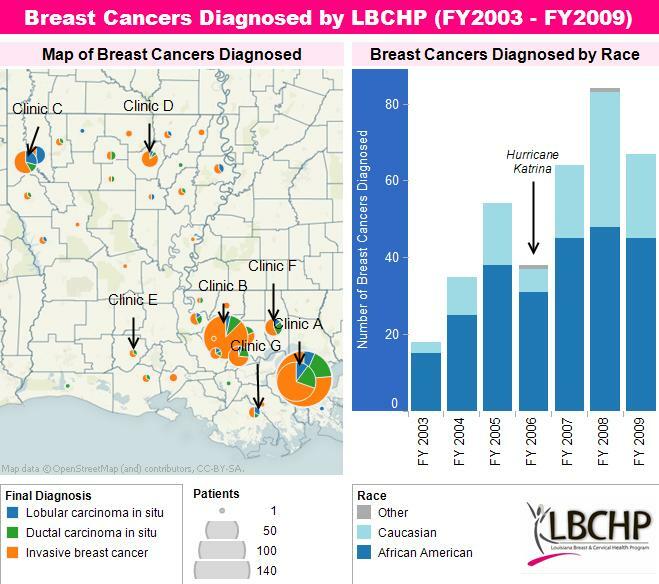 The grant funds the school’s Louisiana Breast and Cervical Health Program (LBCHP) to fulfill its mission to ensure that uninsured and underinsured Louisiana women have access to and receive high-quality screening and diagnostic services for the early detection of cancer. 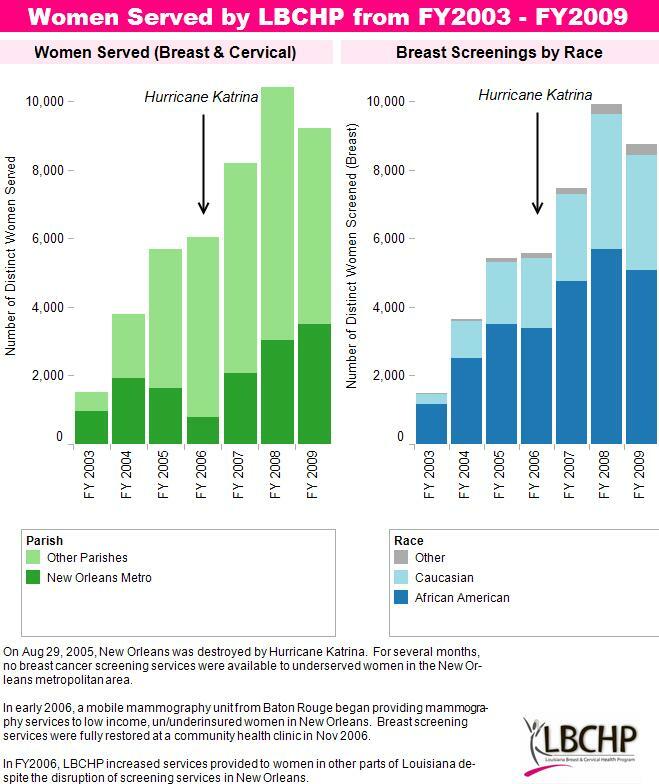 “After Hurricane Rita, we lost a lot of physicians from southeastern Louisiana. One of the hospitals we work with lost their radiologist. They had to contract out with a radiology group, remotely. The radiology group waited until the very last minute to read the mammogram which caused our data to become untimely. Using Tableau, we discovered that we had a trend of screenings taking much longer, affecting our timeliness. We approached that hospital and requested that they renegotiate their contract with the radiology group. We always try to take action based on the results,” said Jennifer. Contact: visualanalysis@tableau.com or call (206) 633-3400 x1.